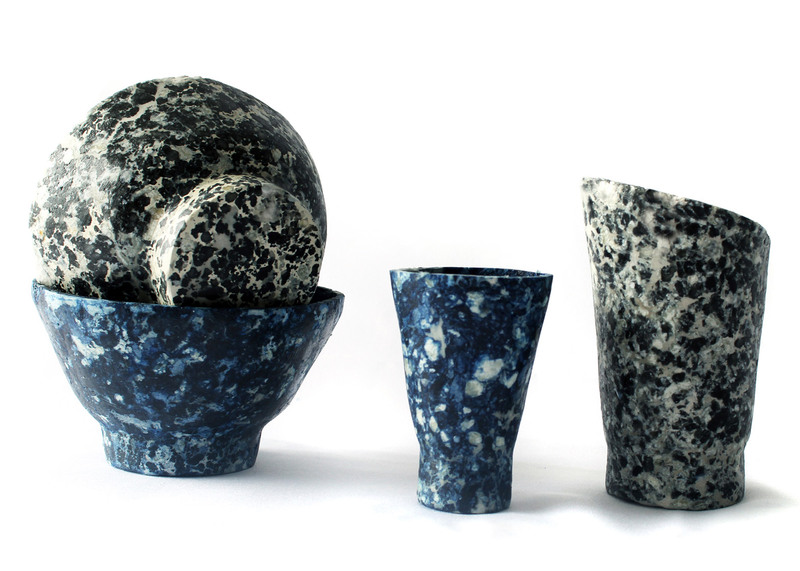 Graduate shows 2016: Royal College of Art graduate Tessa Silva-Dawson has used cow's milk to create a natural alternative to plastic from non-renewable sources (+ slideshow). Silva-Dawson, who studied on the institution's Design Products course, explored the possibility of replacing polymers dervied from fossil fuels with an organic waste material that can perform in the same way. For her Protein project, she sourced waste milk from a dairy farm in Sussex, which throws away 3,000 litres of skimmed milk each week. "That's just one farm in the UK, so 3,000 litres a week is, potentially scaled up, a really big industry," Silva-Dawson told Dezeen. The production process starts similarly to cheese-making, using heat to separate the curds from the liquid whey. The curds are then dried out in an industrial dehydrator and mixed with a natural plasticiser to turn them into pellets. 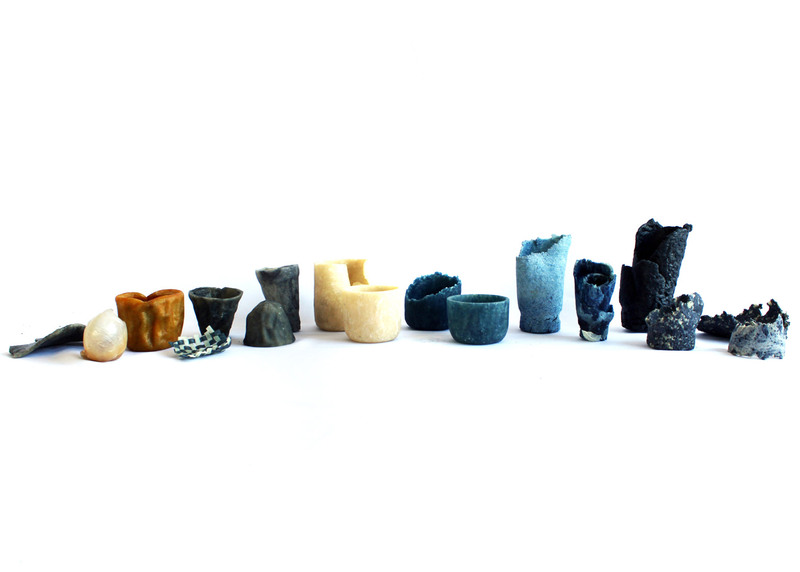 According to the designer, these can be used in the same way as synthetic plastics and moulded with existing machinery. 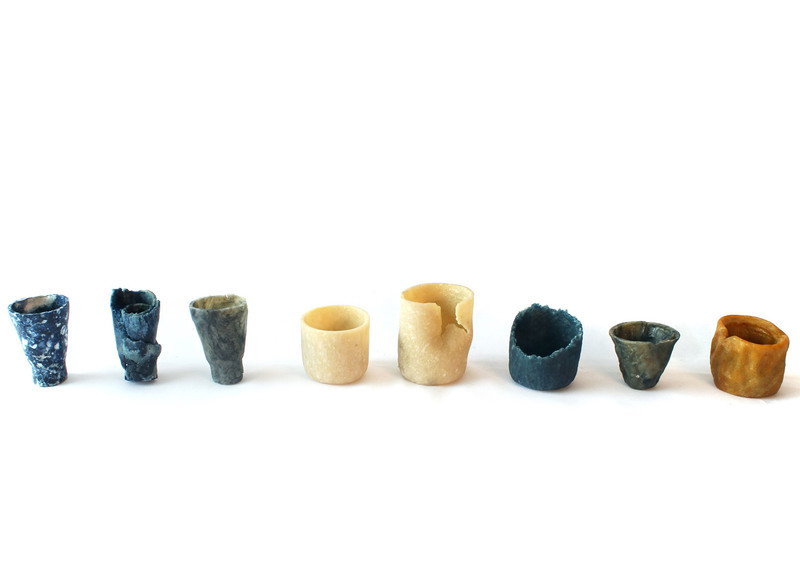 To demonstrate the material's properties, Silva-Dawson created a series of vessels using compression moulding – a technique used to form many plastic products. "It's a crafted way showing how it could be commercialised and manufactured," Silva-Dawson said. She added pigments and dyes to the plastic substitute to create marbled and dappled effects, then finished the surfaces with wax. "It's obviously an animal product," she added. "It's a keratin, a protein, and has similar properties to horn and bone – the way it's sanded and stuff." "You can also lathe it and machine it in the way you would with wood." 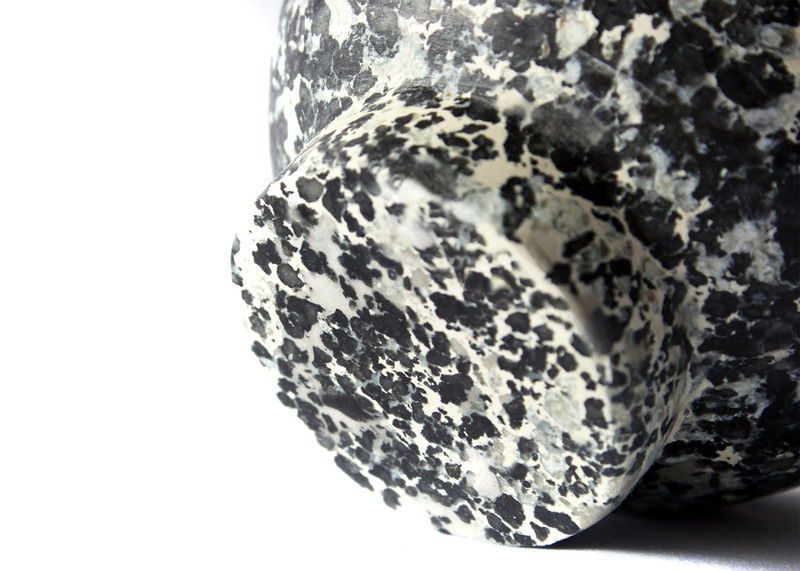 Subject to funding for patents, Silva-Dawson aims to explore options for the material in both small- and large-scale production. "I'd like to keep making myself, but also it would be really interesting to explore the commercial manufacturing end of it, if factories would be willing to produce the plastic at batch-production scale," she said. A factory line could be created by combining current plastic-manufacturing and cheese-making machinery. Discarded synthetic plastic is a growing environmental issues that is threatening marine life, causing a swathe of designers to suggest solutions. 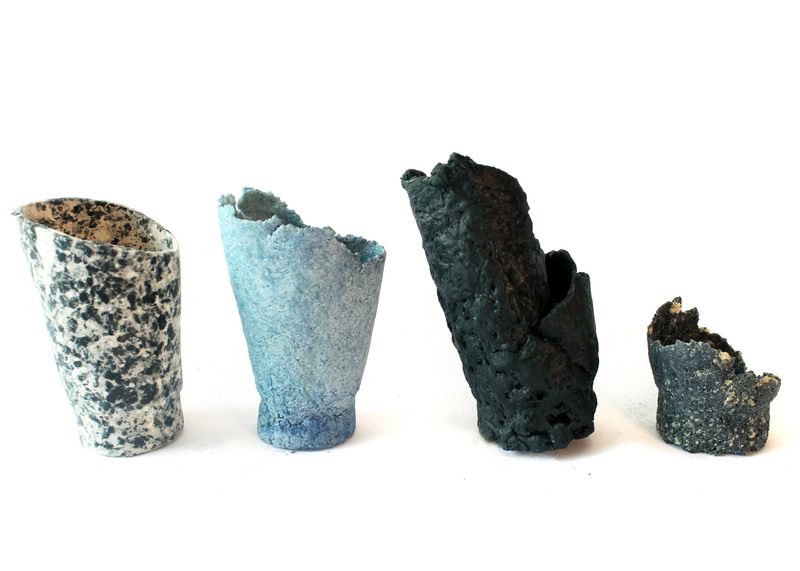 Proposals range from an edible water bottle made from algae to a material created by growing cellulose. Earlier this month, the founder of the Parley for the Oceans initiative called plastic a "design failure" and encouraged designers to come up with alternatives. 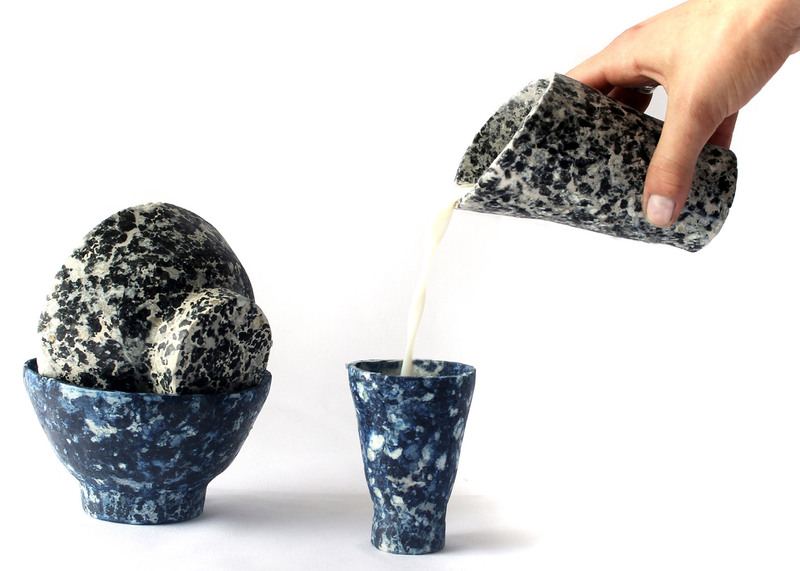 Silva-Dawson presented her Protein project at this year's ShowRCA graduate exhibition, which takes place from 26 June to 3 July 2016 at the institution's Kensington campus. Dezeen is media partner for the event, where a set of "cute" home appliances that sneeze and poo are also on display.